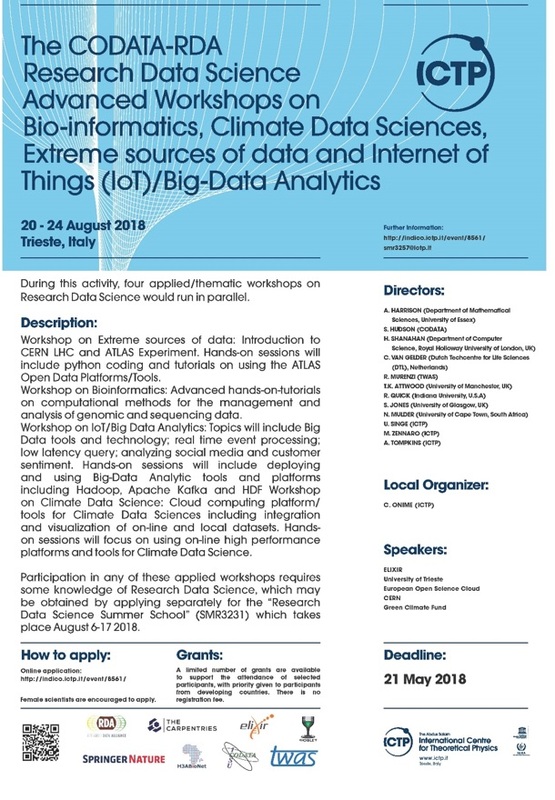 The CODATA-RDA Research Data Science Summer School and Research Data Science Advanced Workshops will run for their third and second year respectively at the International Centre for Theoretical Physics, Trieste, Italy. 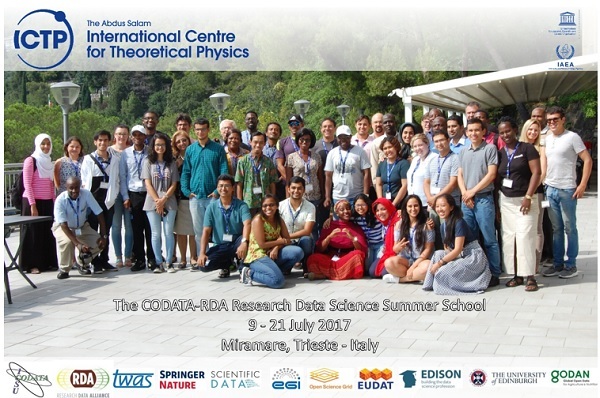 Find out more about the CODATA-RDA School of Research Data Science schools here where you will find links to information about past schools in 2016 and 2017 held in Trieste and São Paulo. Watch a video about the Schools of Research Data Science here.